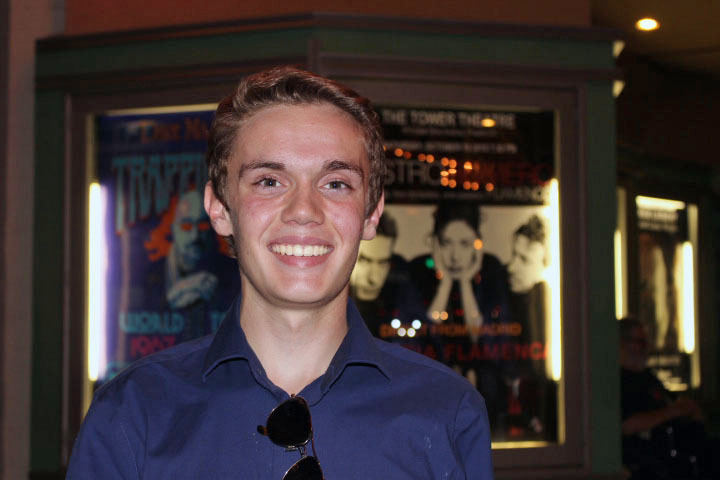 Our October volunteer in the spotlight, Justin Secor, is an outdoors enthusiast and high school film buff. Originally hailing from Minnesota, Clovis North High School senior Justin Secor enjoys outdoor activities and takes advantage of Fresno’s close proximity to the Sierra Nevadas any chance he can get. He began picking up extensive film knowledge two years ago when he realized his different taste for movies didn’t correlate with the tastes of his friends. Occupation: While some might consider attending high school as a full-time job in itself, Justin is hoping to spend his free time later this year high up in the Sierras. Filmworks thanks all of our September 2015 volunteers: Frank Dougherty, Richard Flores, Satch Gonzalez, Tish Griggs, Karen Hammer, Neal Howard, Yvette Mancilla (intern), Richard Markley, Gene Richards, Yvonne Schwemmer, Justin Secor, Brijesh Sharma, Richard Stone, Sky Sweet, Pedro Urena, Jon Veinberg.